This Policy explains when and why this site collects personal information, how it gets used, the conditions under which it may be disclosed to others and what choices you have. It explains my good faith efforts to comply with all of the relevant data protection and privacy laws. 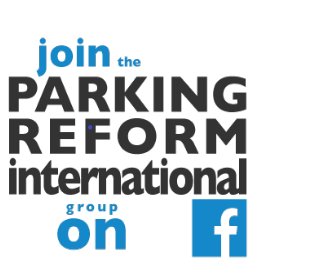 I am Paul Barter, recovering academic, independent podcaster, blogger, trainer, researcher and writer on urban transport policy and parking policy. 2. What information does this site collect & how is it used? The table below outlines what information gets collected and for what purpose. This site does not gather sensitive personal data such as health, genetic, biometric data; racial or ethnic origin, political opinions, religious or philosophical beliefs, trade union membership, sexual orientation, and criminal convictions. I will not sell or rent your information to third parties. Nor will I share your information with third parties for marketing purposes. However, if you subscribe to receive updates about new content from Reinventing Parking, the details you enter are passed to MailChimp.com, a third party provider that enables me to easily send you the relevant updates. The information disclosed is only the information that is necessary to deliver the service. The "subscribe" boxes, popups and pages on the site have always made it clear that the sole purpose of asking for your email address was to send you updates about new content on the site. I will continue to use those email address for that purpose only. It is my understanding that everyone who subscribed gave explicit permission for me to send the requested emails. To allow website users to comment on and discuss articles and episodes, or ask questions. Blogger.com hosts this site and collects certain cookies as well as contact details from commenters. To analyse popular content, website performance, etc – so we can improve. Subscriber names and email addresses. Interactions with our emails, such as opens and clicks on links. To fulfil subscribers’ requests to receive an email update whenever there is new content at the Reinventing Parking site. MailChimp handles the personal data necessary to provide this service. It is my belief that the services mentioned above are compliant with the EU's General Data Protection Regulation (GDPR) or they will be very soon. Depending on your location, you probably have certain rights concerning the information held by this site, for example under the EU's General Data Protection Regulation (GDPR). If you wish to exercise these rights, please contact me, including your email address (this is the identifier used to collate your information). You may request a copy of any data we hold about you. Upon request, I will do my best to provide a file containing the personal data held about you. If you are a subscriber to the site's email updates, this file will typically contain the information from Mailchimp about your subscription and activity. "Want to change how you receive these emails? You can update your preferences or unsubscribe from this list." Please contact me if you think there may be other information about you that needs correcting. You have the right to request erasure of your personal information. Unless there is a compelling legal reason for the data not to be erased, your personal data will be deleted on request. Users have the ability to leave comments on this site. You may request deletion of your comments. The cookies used are ‘1st party’ cookies. To the best of my knowledge, this site does NOT use services that would trigger the use of '3rd party' cookies (which are often used to track behaviour across a range of websites, so targeted advertising can then be applied). If you do not want cookies to be used, you can turn off cookies or refrain from using the site. Most browsers allow you to turn off cookies. Switching off cookies should not noticeably restrict your use of this website. To protect your information from loss, misuse or unauthorised access or disclosure, I have put in place suitable physical, electronic and managerial procedures to safeguard and secure the information collected. Prompt action in the event of a breach. If you wish to raise a complaint on how this site has handled your personal information, you can contact me directly. I will investigate and try to rectify the problem, if possible. See the contact details at the top of this page. If you are not satisfied you can complain to the relevant authorities in your jurisdiction. For example, in Singapore such complaints should go to the Personal Data Protection Commission.